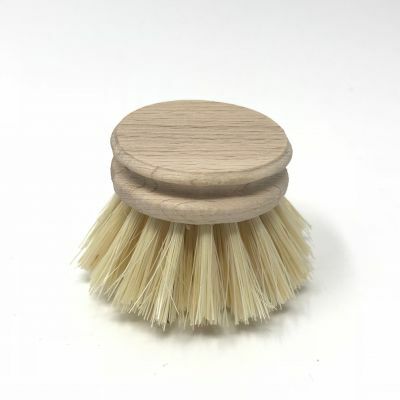 Dish refill brush in beech and natural fibre. Brush cleans gentle without scratching. heat resistant up to 110°C. Wood guaranteed to come from managed forest, 100% FSC. Made in Switzerland.